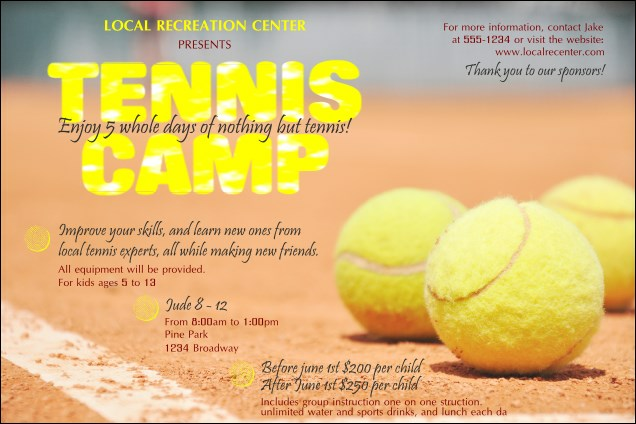 Swing for event success and post the Tennis Camp Poster in advance. This colourful design features a photorealistic red clay court with bright tennis balls resting. Create seamless event promotions with coordinating tickets, invitations and flyers in a Matching Event Kit. Raise awareness of all your events with the right poster from CanadaTicketPrinting.ca.